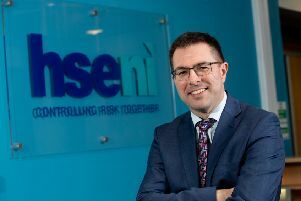 A dramatic drop in farm incomes in Northern Ireland over the past year highlights the “potentially catastrophic” impact a no-deal Brexit could have on the industry, UUP leader Robin Swann has claimed. The average income across all farming sectors is expected to decrease to around £26,000 in 2018/19, a drop of £7,840 or 23% per farm. 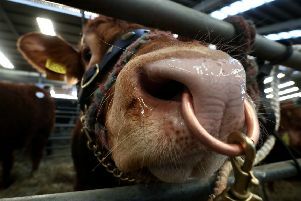 Dairy, cattle and sheep, pig and mixed farm incomes are all forecast to fall by varying amounts, with only cereal businesses showing an increase. Officials said the downturn in income for pig farms is due to both lower pig prices and higher feed prices, while the upturn for cereal farms was a result of higher grain and straw prices. Overall, farm income plummeted by 24% to £360m in 2018. North Antrim MLA Mr Swann said the risk of leaving the EU without a deal, coupled with the ongoing political impasse at Stormont, has left the Province’s farming industry in “an incredibly precarious situation”. He added: “Farming is a difficult livelihood with fluctuating markets compounded by constant unknowns from one year to the next. This uncertainty, however, has been greatly increased in the two years since the EU referendum. “It is ridiculous that we are now less than two months away from Brexit and our farmers still have no better idea now how they will be supported in the future, than they had two years ago. Meanwhile, Ulster Farmers’ Union president Ivor Ferguson said the figures, published yesterday by the Department of Agriculture, Environment and Rural Affairs, should serve as a “wake-up call” ahead of Brexit and called for “firm decisions” on future financial support arrangements for farming. He also that the plunge in incomes of both hill and lowland beef and sheep production was “a threat to the very backbone of agriculture”.